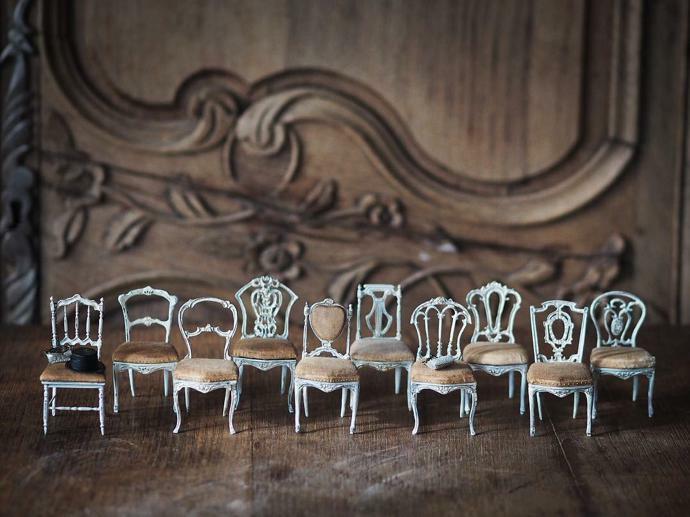 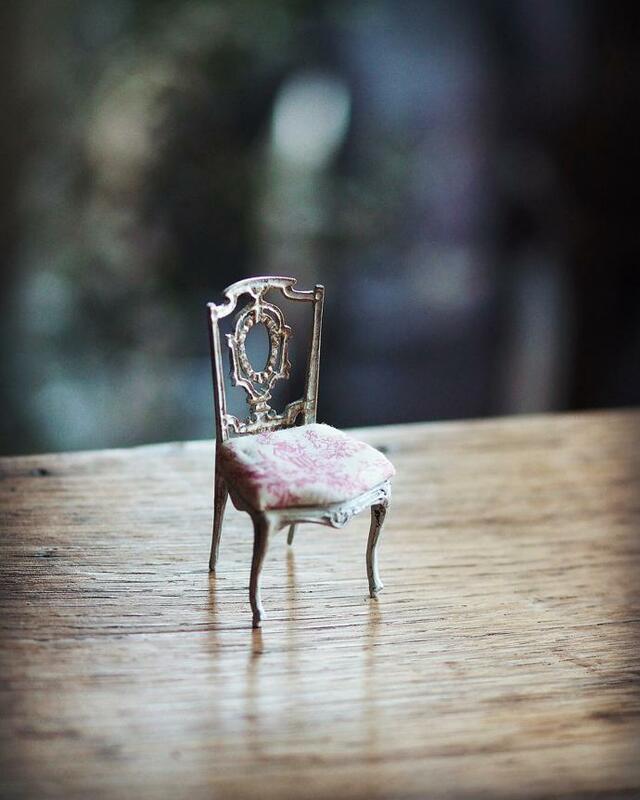 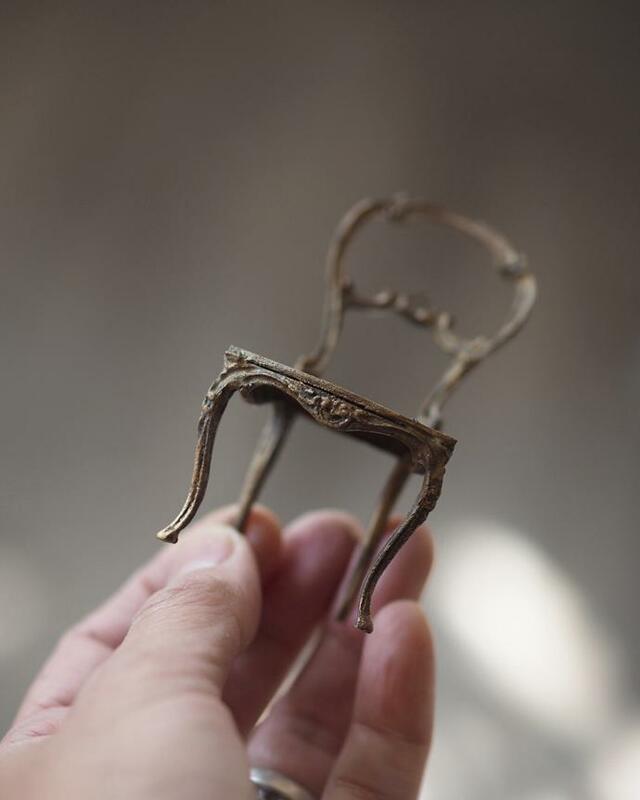 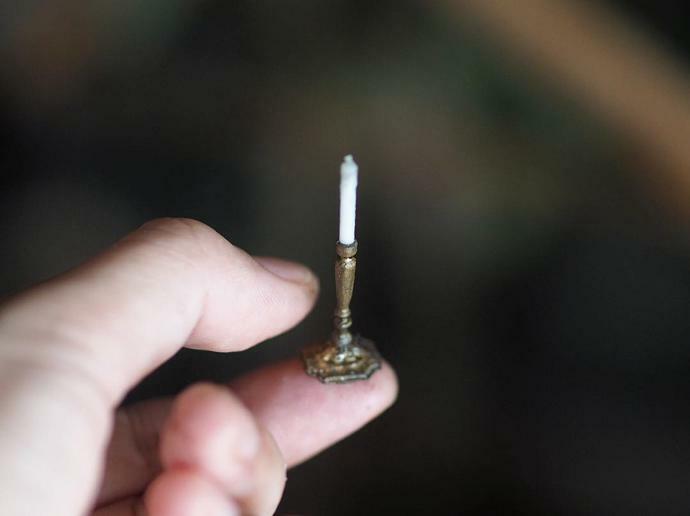 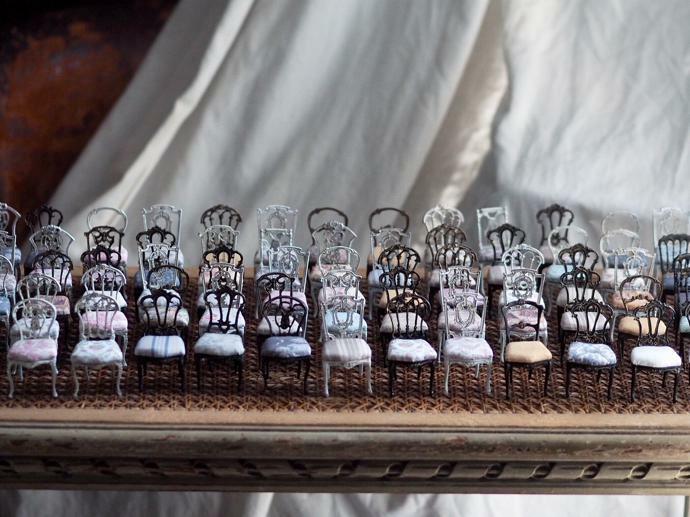 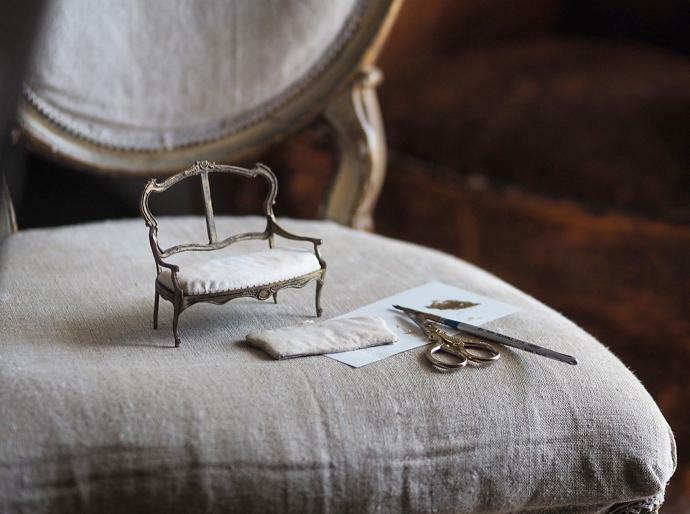 Japanese artist and miniaturist Kiyomi makes tiny detailed versions of furniture, jars and silverware that mimic the styles of a bygone era. 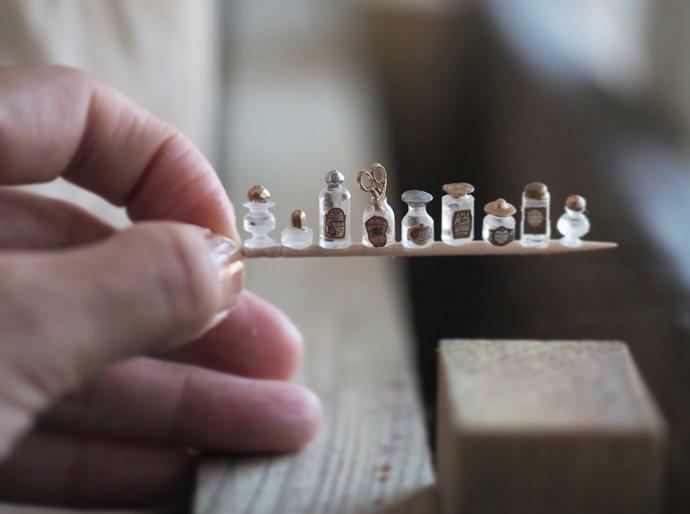 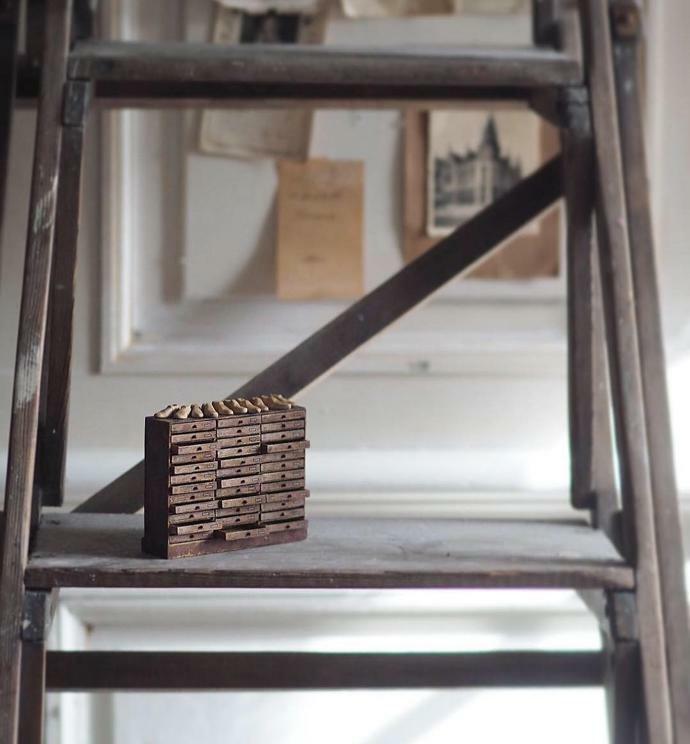 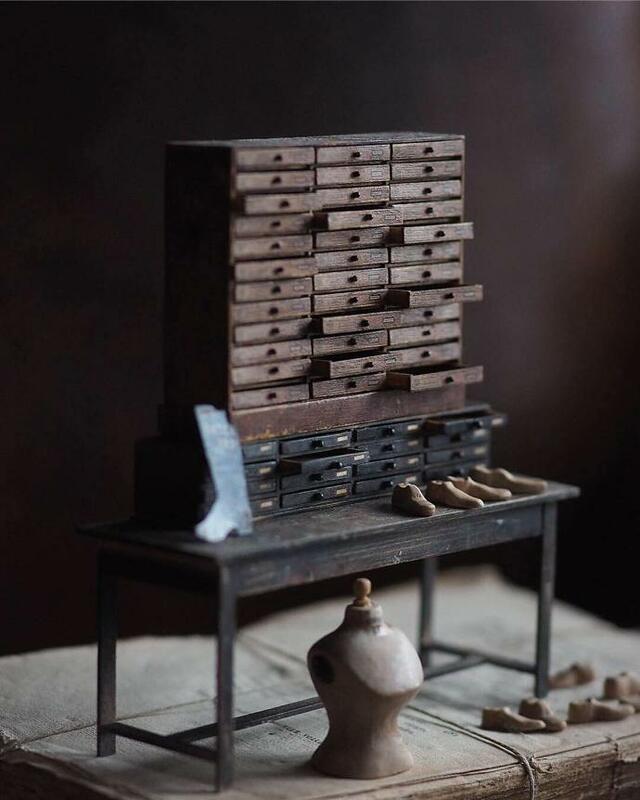 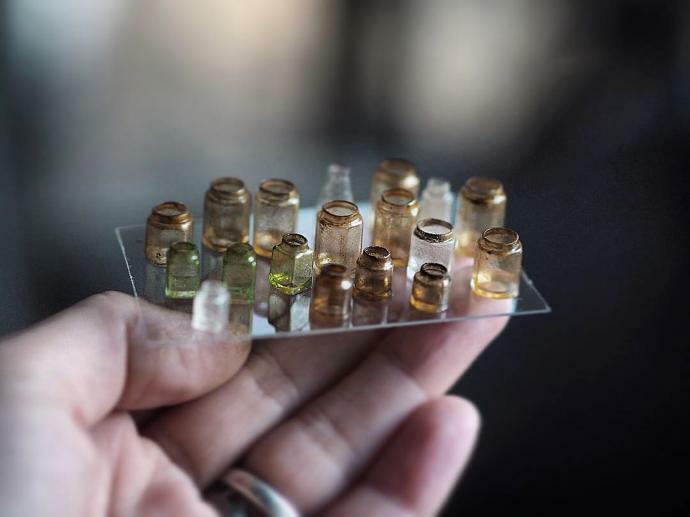 Paying careful attention to detail, adding tarnishes, embellishments and a “worn” effect to her work, Kiyomi’s handcrafted pieces would make a beautiful addition to any dollhouse. 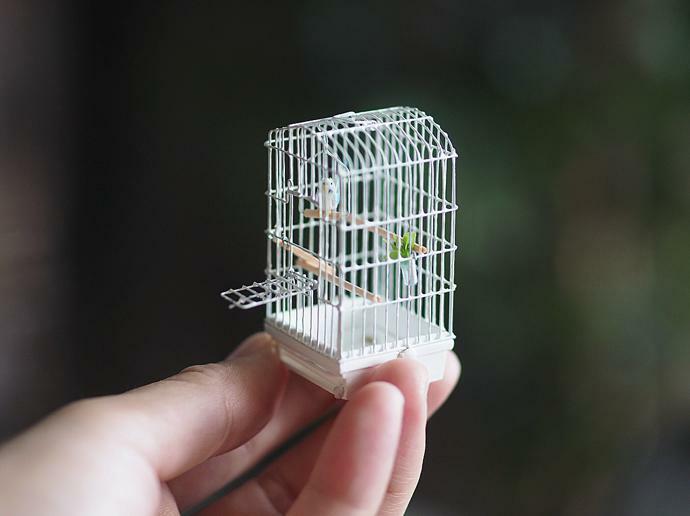 She uses a variety of materials, including wire, wood and paper. 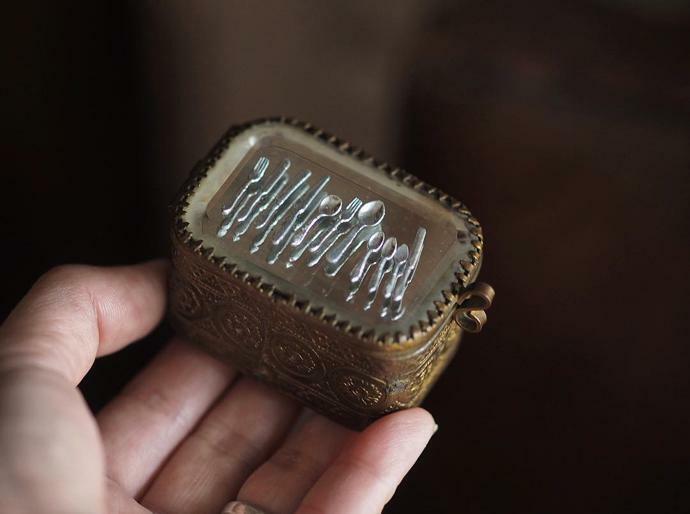 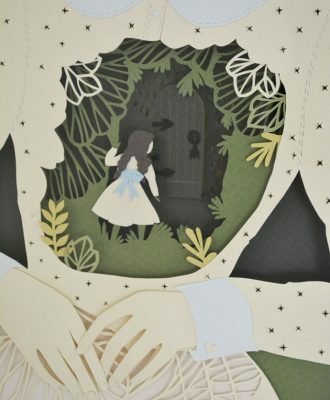 Browse the gallery above to see more examples of her intricate work. 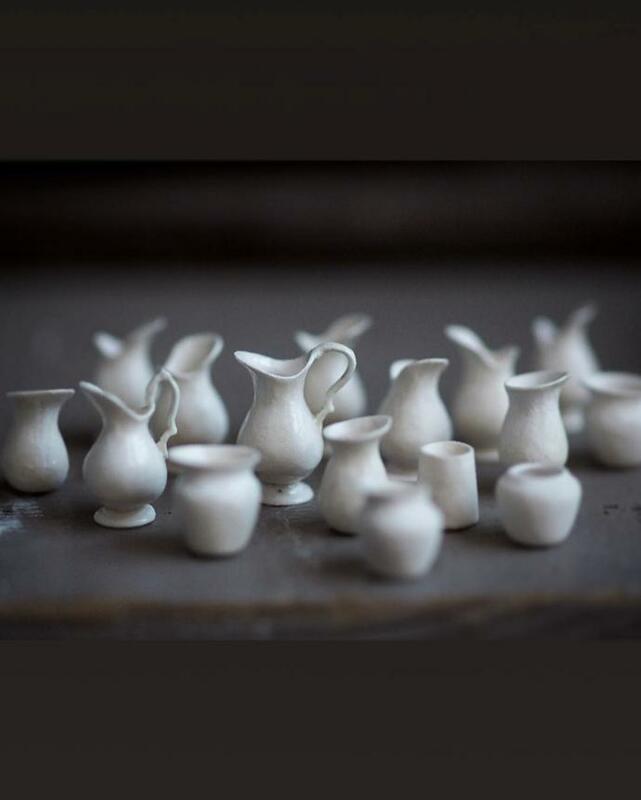 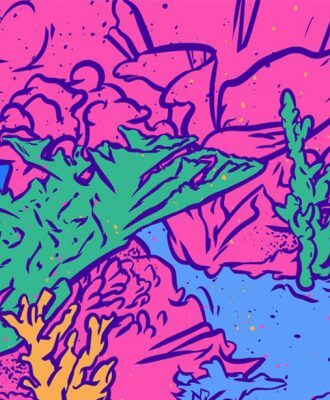 See more of Kiyomi’s work on Instagram and on her website.